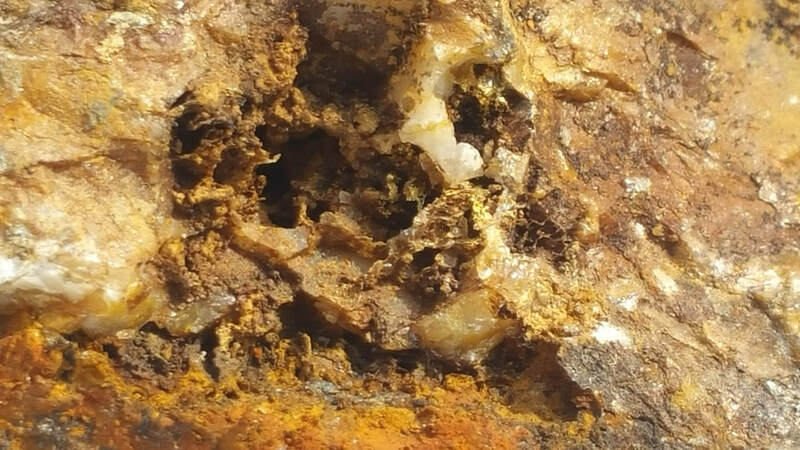 Some spectacular gold from the SIF Zone in quartz accompanied by iron-oxide staining. 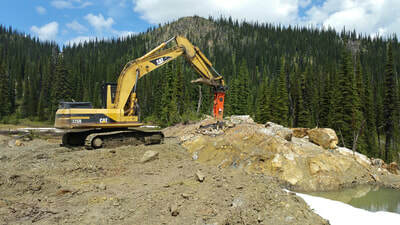 Cat Excavator from Crescent Bay breaking up the SIF outcrop. 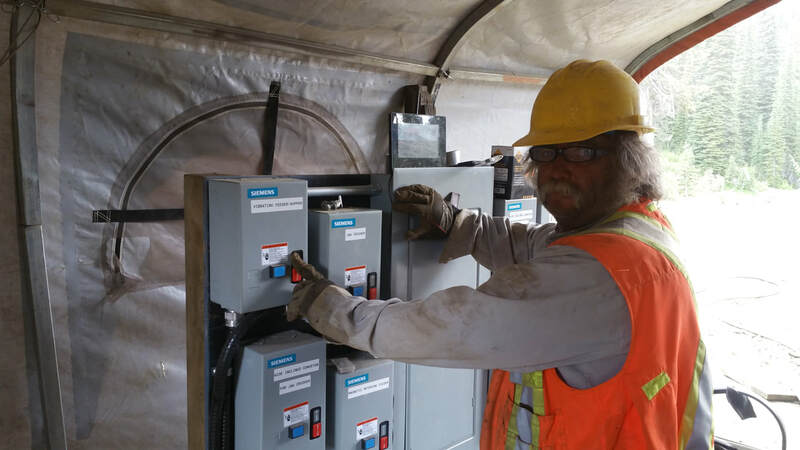 Electricians completing the wiring prior to startup in early July, 2017. 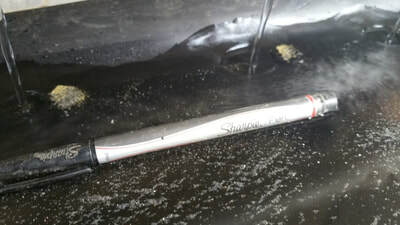 Material moving over the shaker table during "tune-up" in July 2017. 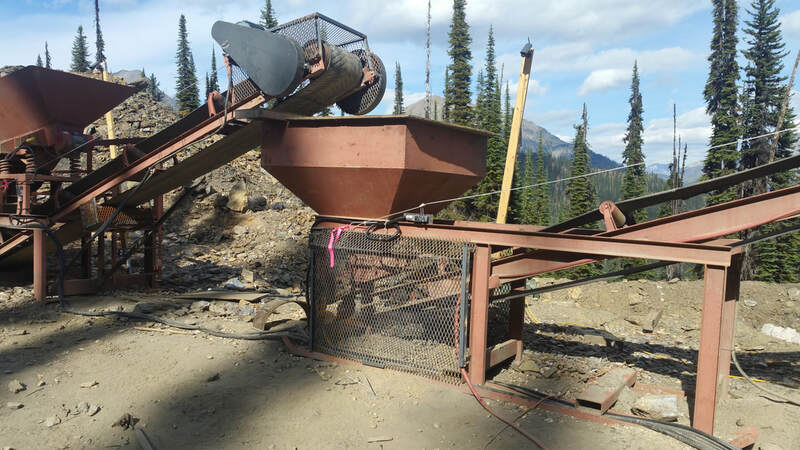 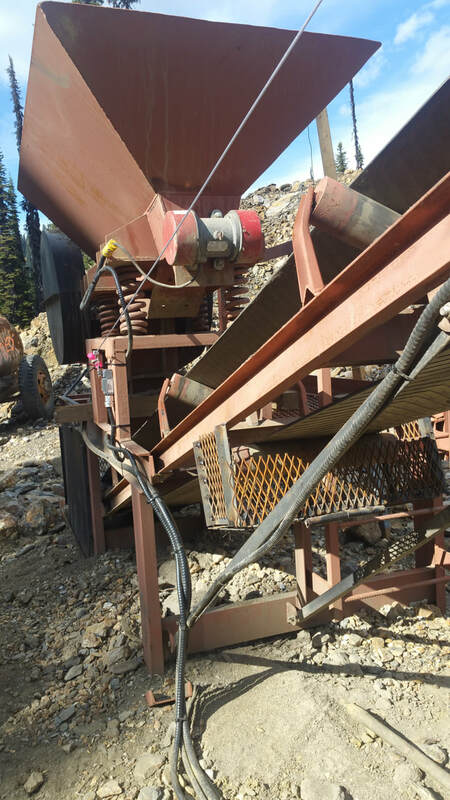 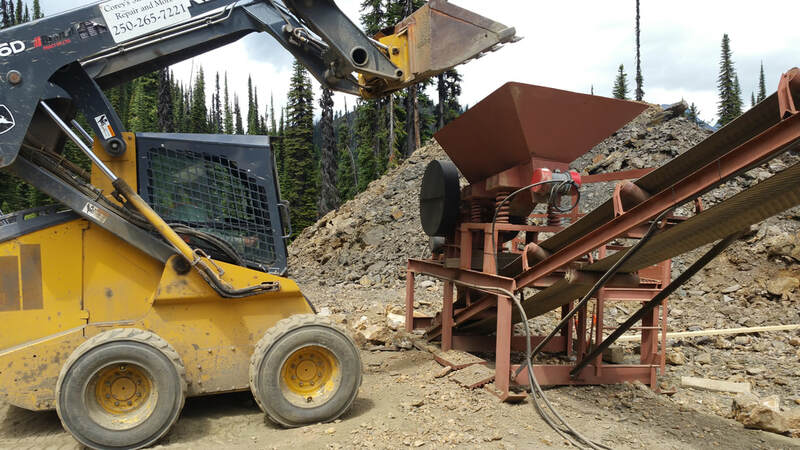 Crushed ore going from the fine ore bin into the hammer mill. 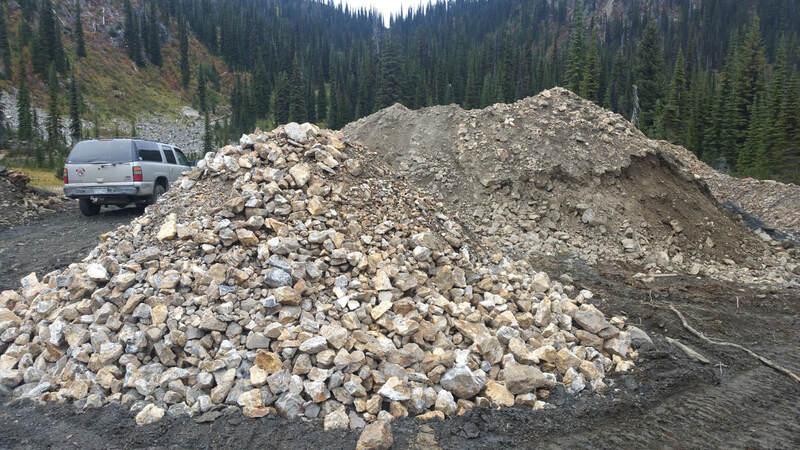 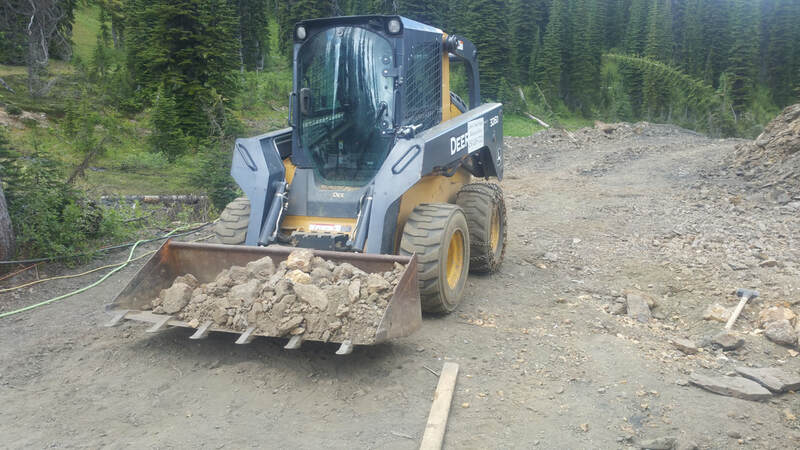 Bobcat moving some of the SIF ore down the haul road from the pit to the gold pilot mill. 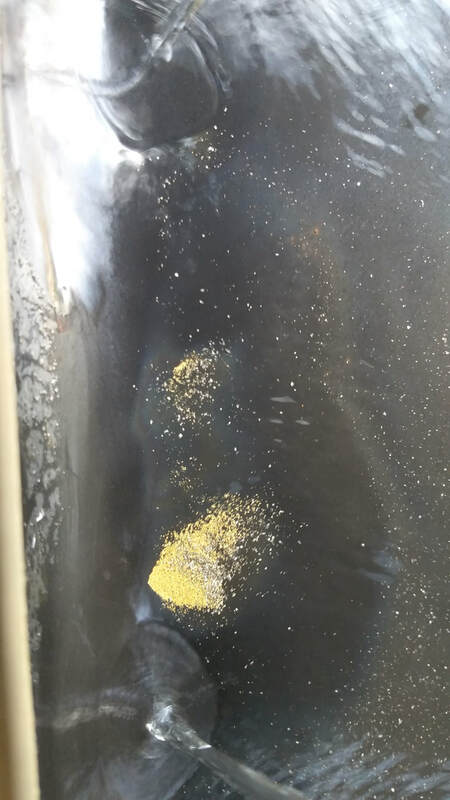 Visible gold on the shaker table ! Typical coarse gold on the shaker table, notice how the gold is rounded due to processing in the hammer mill. The electrical control panel for the mill (Gary Moore operating the mill). 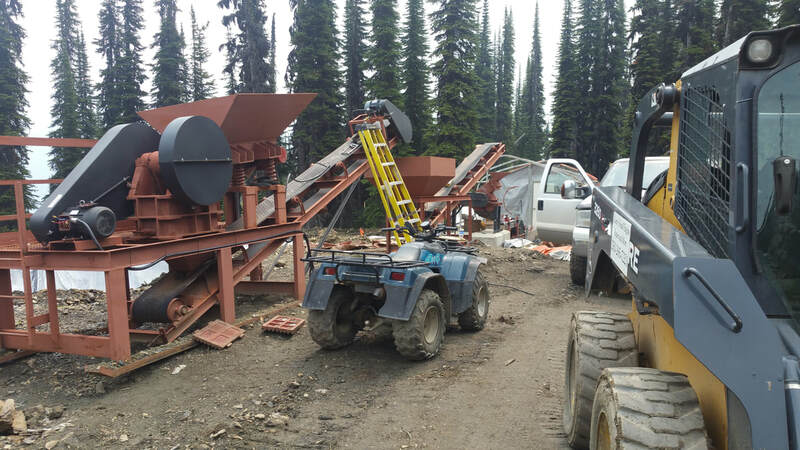 Bobcat loading ore into the jaw crusher at the gold pilot plant, July 2017. Gold and silver coming off one of the table grooves. 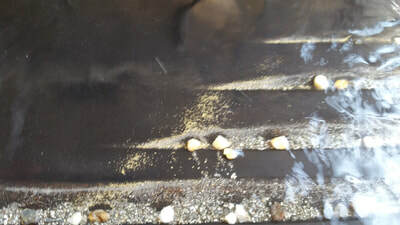 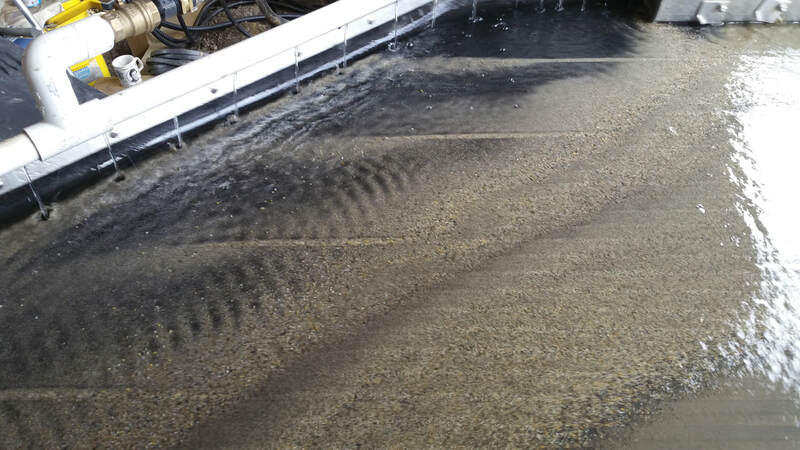 Gold moving between lines on the shaker table destined for the 'concentrate' bin. 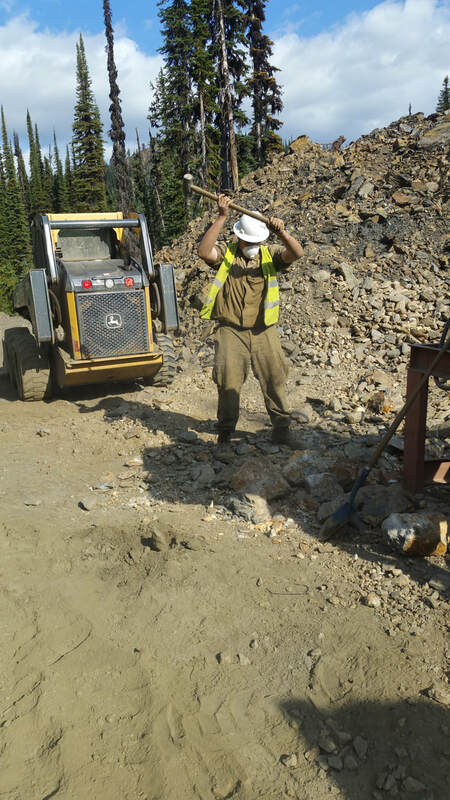 Breaking oversize pieces of ore at the jaw crusher with a sledge hammer. Some of the fine gold that collects along the outside edge on the shaker table under the water bar. 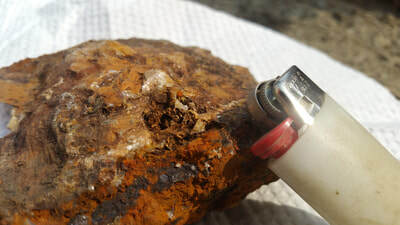 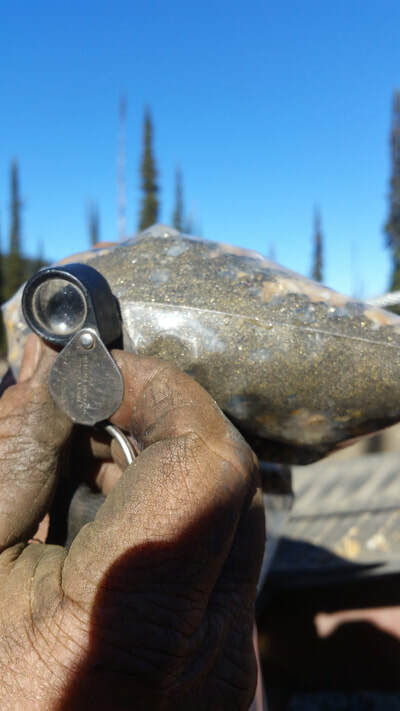 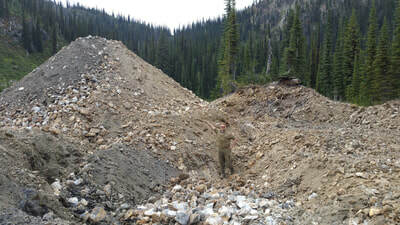 Some of the broken ore from SIF with Thomas Gardiner showing the thickness of the SIF Extension zone. 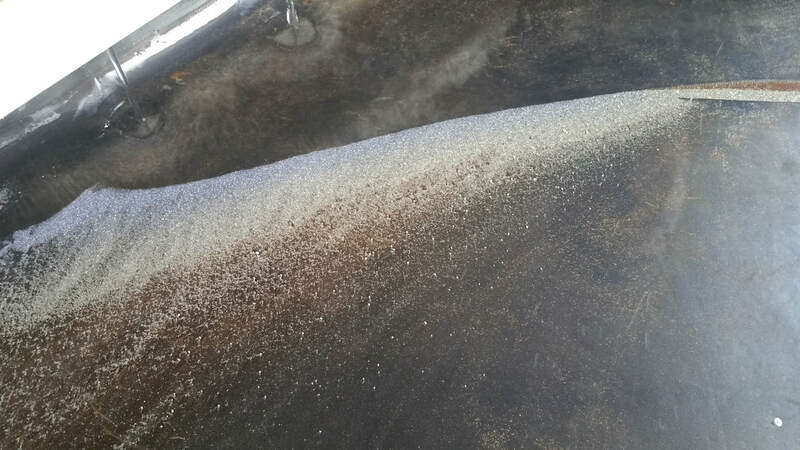 Visible gold on the shaker table! A test sample from the gold pit being put over the shaker table showing silver (tetrahedrite) moving across the shaker table. 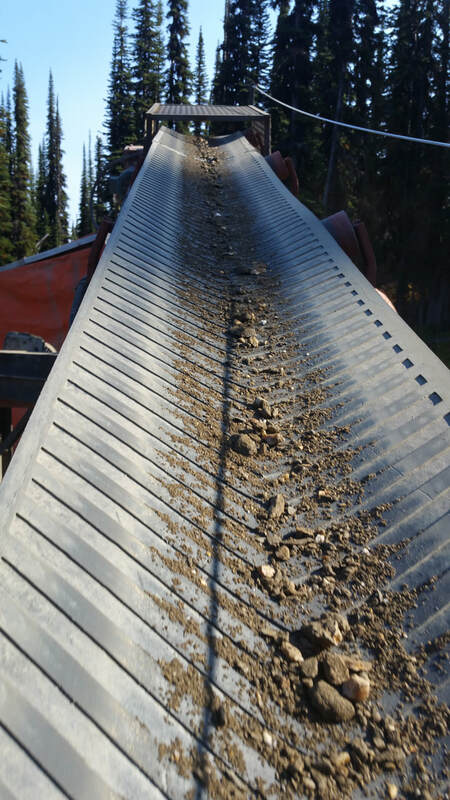 Conveyor to the hammer mill. 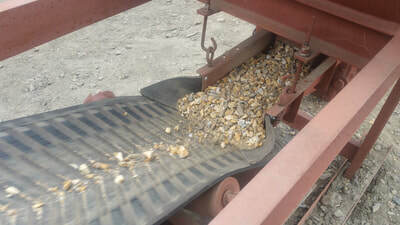 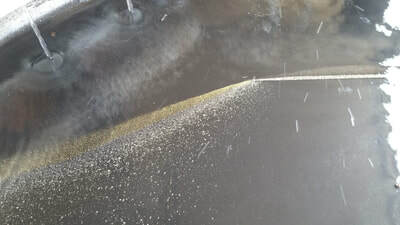 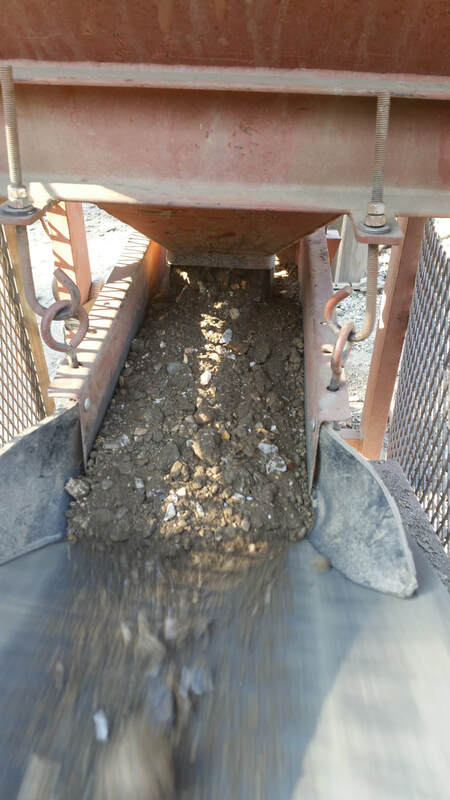 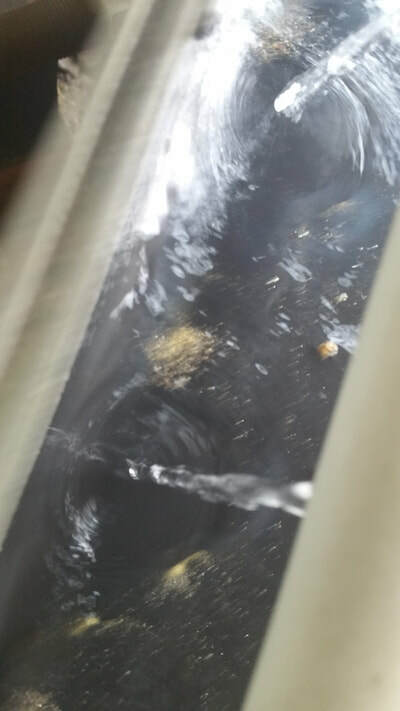 Ore feeding into the hammer mill from the electromagnetic feeder under the fine ore bin. 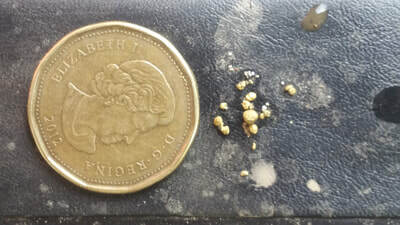 Bag of concentrate for one day from the SIF Zone with abundant visible gold. The concentrate needs to further refined to extract the gold.